Coolest 100 days baby birthday invitation ever. 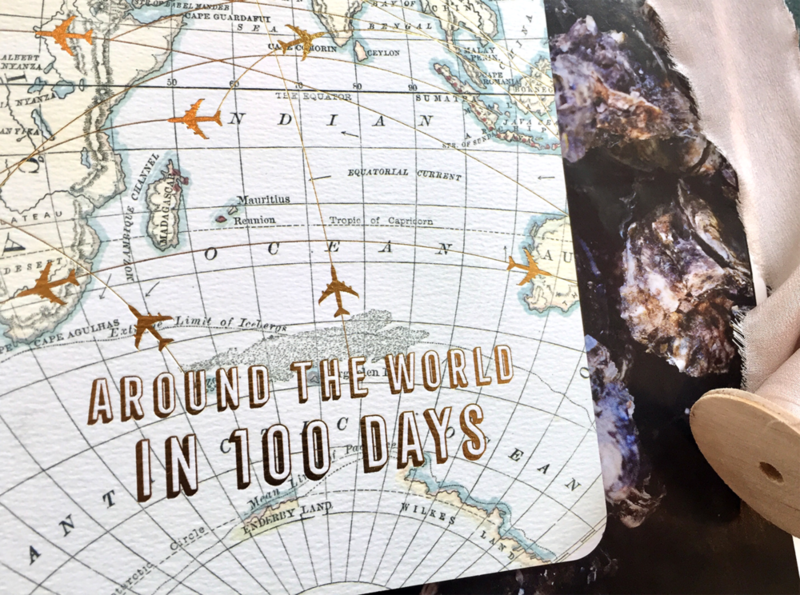 The "Around the world in 100 days" concept is the highlight of the events. Laser-cut travel icon overlay on a vintage map. Gold hot foil stamping on tinies planes & tagline showcasing the finest finishing of the invitation set.